Imager's Challenge takes up immediately after the conclusion of Imager. Still recovering from injuries received in foiling the plots of the Ferran envoy, Rhenn is preparing to take up his new duties as imager liaison to the Civic Patrol of L'Excelsis. No sooner has he assumed his new position than he discovers two things. First, the commander of the Civic Patrol doesn't want a liaison from the infamous Collegium and soon has Rhenn patrolling the streets of the worst district in the city. Second, Rhenn receives formal notice that one of the High Holders, the father of a man Rhenn partly blinded in self-defense, has declared his intention to destroy Rhenn and his family. Rhenn's only allies are the family of the girl he loves, successful merchants with underworld connections. In the end, Rhenn must stand off against gang lords, naval marines, Tiempran terrorist priests, the most powerful High Holder in all of Solidar, and his own Collegium---and find a way to prevail without making further enemies and endangering those he loves. I really enjoyed this book, the second in the Imager's series from L.E. Modesitt. 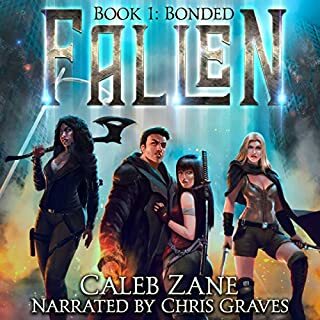 I have been eagerly awaiting it since I picked up the first book on audible. This series is deeper than some, with a slower moving plot as it explores more intellectual and strategic themes, but it has plenty of action to keep you moving forward. And William Dufris is an excellent narrator. Can't wait for the next book. Renthyl, an unusually strong imager, is getting an unusually challenging training. Forced by his superiors to avoid making normal people frightened of imagers, Renthyl is fed up with defending himself and not retaliating. He is stationed in the police corps, where he is ordered to observe and no police officer is required to take orders from him. That should curb Renthyl's tendency to handle things his own way. As it works out, Renthyl has enemies to handle both in the neighborhoods of down-and-outers where he patrols, and in the police corps itself. Once he has learned just what hazards to image to stop his attackers and he has those enemies under control, Renthyl has no choice but to tackle (dramatically, as it turns out) the aristocrat who wants to destroy him and his family. By the end, the College of Imagers has to rethink its self-defensive policies. William Dufris wouldn't be my first choice as a reader. He can convincingly manipulate his voice into different characters, but he has chosen to give Renthyl a superior drawl. 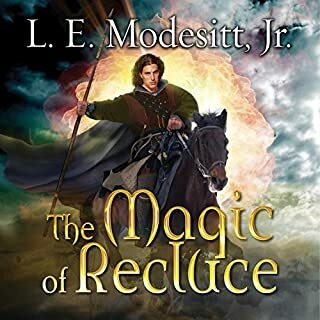 The disadvantage of listening to these books instead of reading them is that you can't skip over the incessant menu descriptions, which are obviously Modesitt riding his hobbyhorse. Fortunately the story as a whole is an excellent one. I enjoyed the first book a lot. I started out enjoying this book, but after a while I felt like it was just moving soooo slooooow. It was all descriptions of food, drinks and clothes. Ok, ok, let's get on with the plot already. Maybe if I was reading it and could scan over the long descriptions it would be easier. But as it is, I would lose interest and then end up losing actual plot details. I don't mind long epic books. I do mind books that are drawn out so that you can describe food and long walks, or how the main characters brother is spoiled and his girlfriends aunt has a nice resteraunt. I listened to about half of it and then put it away. This was a wonderful book to listen to. The spin on how magic works is a refreshing change. The characters very likable and the villians are vile. Loved it and want much more from L.E. MOdesitt Jr.!! I have always had a hard time finding fantasy novels that really capture my imagination. L.E. 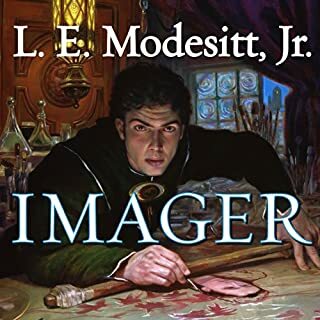 Modesitt's stories do follow the tale of a boy who grows up to be something special pattern, but they actually move faster for me than a lot of the most successful fantasy series out there. With each series of stories that L.E. 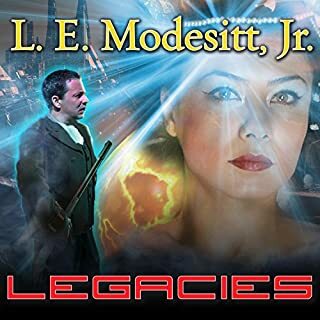 Modesitt Jr. creates, his stories become more unexpected in the way they unfold and the in the make up of the world they occur in without being too fantastic or overly detailed. He also manages to publish a book every year, so he doesn't keep you waiting like some authors do. 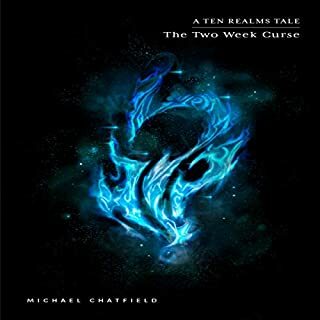 Solid showing full of spirited characters and the usual romance and adventure that marks this authors fantasy tales. It also offers interesting bits of wisdom that are surprisingly insightful. Modesitt has such talent in creating highly detailed alternative worlds and this is a fine example. 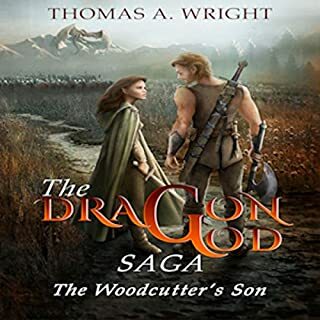 I would not call this series action adventure, some might even call it slow, but I enjoyed learning more about the characters and the details about the world they inhabit. In this installment Modesitt delves further into the religion and politics of this world which is interesting and even thought provoking. The narration matches the content; not overly exciting but credible. I look forward to future installments in the Imager Portfolio. enjoyed the fist two books looking forward to the next. Narrator was very good and kept me engaged with the story. Great sequel! Going to immediately start the third book. I really admire the relationship and psychology of the main characters. This seried started amazing and has remained amazing. The twists and turns are enthralling to me! 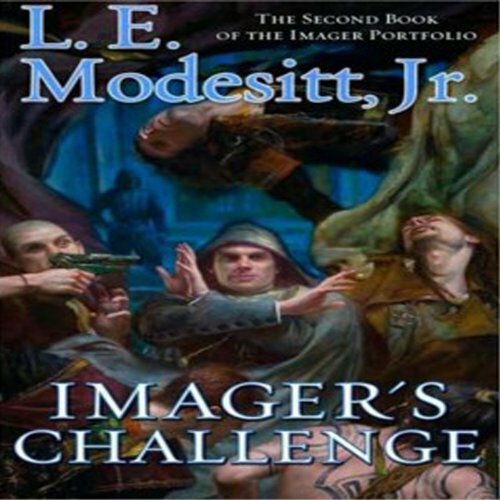 Where does Imager's Challenge rank among all the audiobooks you’ve listened to so far? This one grew on me as Listened to it . I was slowly drawn into the characters life and his struggles in his world. So I would rank this book as one of my current favourites. I definitely want to hear more. What was one of the most memorable moments of Imager's Challenge? I loved that the power of imaging has a few drawback. But has a number of useful ones. However ts not much help against rain. You will have to read it to find out why.